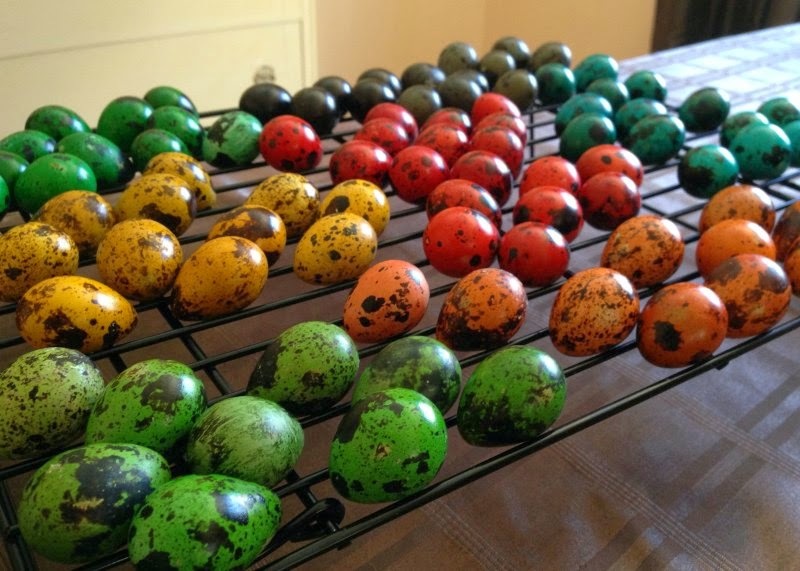 For Easter, my favorite dyed eggs are actually quail eggs! I've always loved how quail eggs look on their own, but they look even better when decorated in a rainbow of colors. 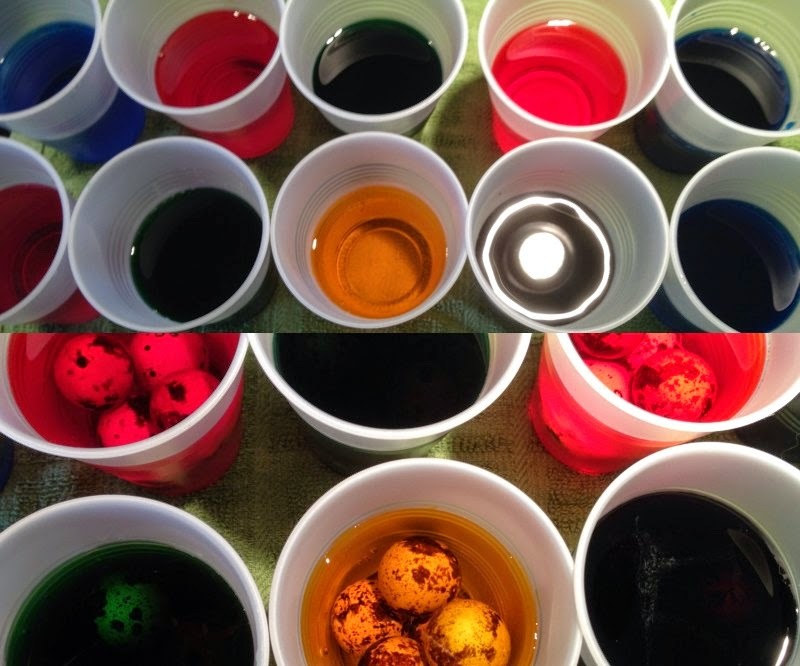 You only need a few items to dye your quail eggs: vinegar, food coloring, plastic cups or containers to hold the dye, and water. To get started, pour 1 tsp of vinegar into each cup/container. Next add your food coloring drops to the vinegar. It's fun to experiment with using different amounts of food coloring and mixing different colors together! Use anywhere from 8-20 drops of food coloring per cup. Next add a half cup of hot water to each cup (it does not need to be boiling). 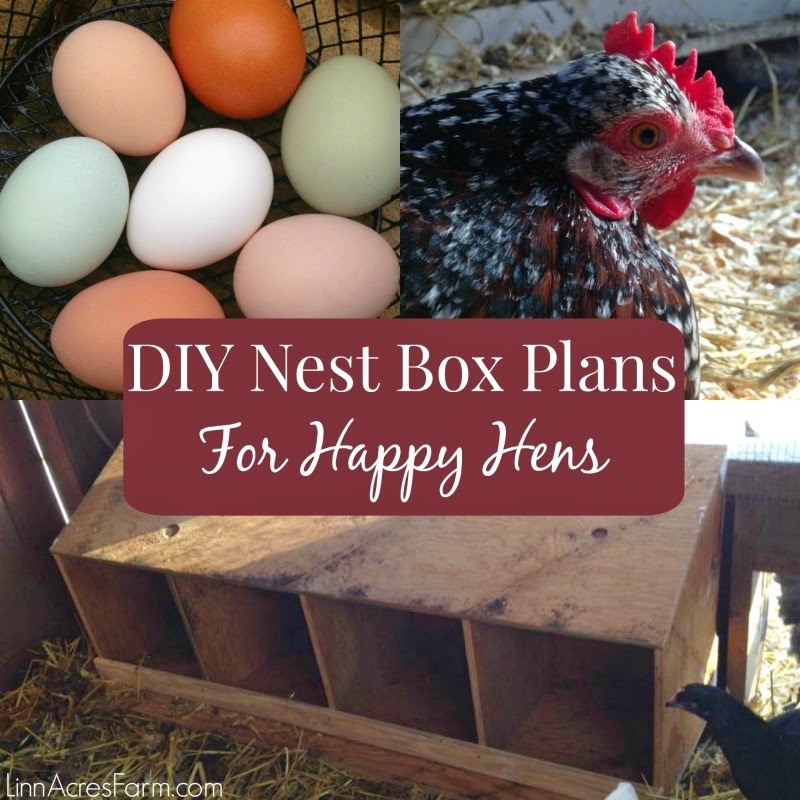 You should be able to fit 4-5 eggs per cup at a time. Leave your eggs submerged in the dye for 5 minutes for a nice even color. For lighter colors, check your eggs after two minutes. For darker colors, leave them in for 10+ minutes. I like to remove the eggs from the cups using tongs or a fork. For drying the eggs, I like to use a cooling rack over newspaper. The eggs dry very quickly this way since the air is able to circulate around them. 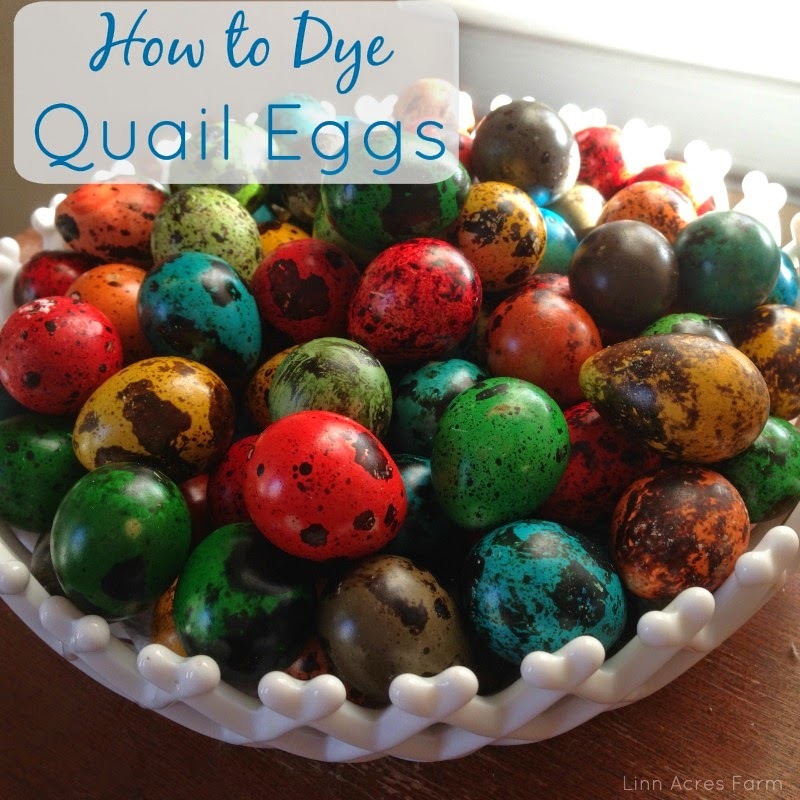 Use your dyed quail eggs for decorations, a centerpiece, or just a fun craft!